I've been asked by a special family member to make a quilt as a gift for another special family member. I'm not sure any of them read this blog but I'm going to keep the recipient details vague just in case. 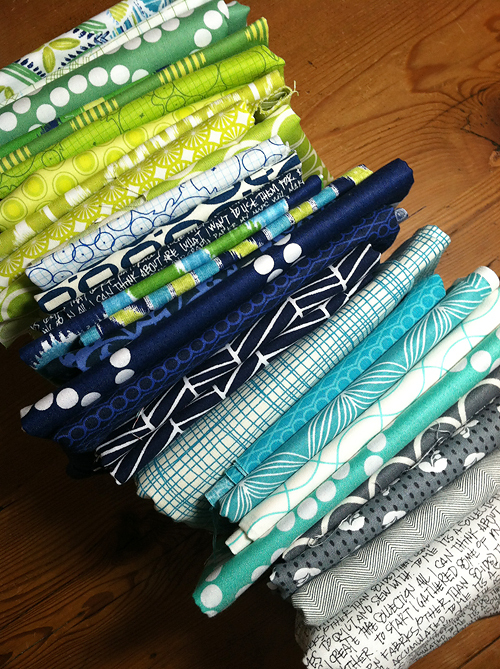 I spent a bit of time this morning pulling fabrics. I'm pretty excited about the stack that came together. I was inspired by a little fat quarter set I had of Maasai Mara by Dear Stella. I can't wait to show you the blocks as they come together!